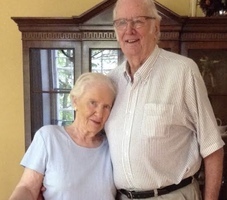 Provide comfort for the family of Donald Thurston with a meaningful gesture of sympathy. 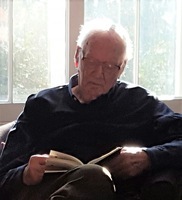 Peacefully in the Carleton Place Hospital on Sunday, March 10, 2019 in his 91st year. Survived by his loving wife, Mary Thurston. Beloved father of Geoffrey (Sandi), David (Diane), Guy (Carol), Katie Thurston (Steven Watzenboeck) and Debbie (Dennis Chambers). Beloved stepfather to Marc (Debbie), Cathy (Dan Borowec), Judy (Ferd Hamre) and Joseph (Leo Scopacasa). Proud grandfather to sixteen grandchildren and five great grandchildren. 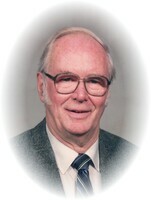 Don was the son of the late Alec and Peggy Thurston. Predeceased by his sister Jane and his brother and life time business partner Britten. The family would like to extend their thanks to Dr. Maria Bastin-Millar and the staff of the Carleton Place Hospital for their care and compassion. For those who may choose to honour Don with a memorial donation, please consider the Almonte General Hospital or the Carleton Place and District Memorial Hospital. 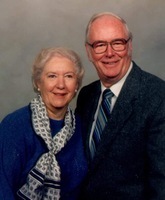 Provide comfort for the family of Donald Henry Thurston by sending flowers. Sending my love to Mary and the rest of the Thurston family. May this time be filled of beautiful memories of Uncle Don. To Mary and all of Don's family we send our deepest condolences on his passing . Don was a true gentleman who readily shared his wisdom and humour with all. Jim and I have many warm memories of good times with Don and Mary especially at St. John's Church. Sending our love and prayers as we remember Don with a smile. Jim and Lynda Jordan. Orangeville, ON. I’m truly sorry to hear of your loss. Please except our condolences and may our prayers help comfort the Thurston Family.